Live the lake life! Main channel views, private dock and more! 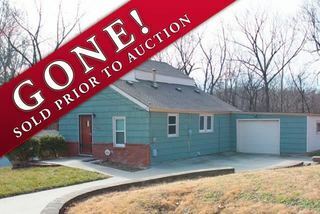 THIS PROPERTY HAS SOLD PRIOR TO THE AUCTION. Over the last 13 years the owners have expanded and renovated this lakefront home with much new in the last year. 2 Acres +/- Residential Lot in Great Neighborhood Close to College, Painted Hills Golf Course and 1/2 Block to Hazel Grove Elementary. Lot Features a Pretty Setting with Mature Trees, All Utilities, 180 ft. Road Frontage & More. Bid Your Price Online for This Pretty 2 Acre Residential Setting in a Great Neighborhood. Sells Regardless of Price to the Highest Bidder! Bidding Open Now! Auction Ends: May 31, 2017 at 3:00 pm, if not sold before. A Lovely 3-Acre Setting with Mature Trees just outside of Kearney with All Brick 3 Bedroom Earth Integrated Ranch with Newer Timberline Roof, Septic System, Garage Door & Opener, 30x40 Metal Butler Building, 1 Year Warranty & more! Don't miss the opportunity to bid on this all brick 3 bedroom ranch home on 3 acres with outbuilding for sale at auction. Just needs carpet, paint and your decorative touches to make it your own. Come and Bid Your Price! Seller’s Published Reserve Only $300,000! (Last listed at $550,000). Classic 2-story brick/stucco updated 5 bedroom home on 1/3 acre lot with circle drive for sale at online auction. This mid-century modern home features steel siding, large thermo-pane windows, stylized 8'x45" doors, newer roof & c/a, hardwood floors, 3 bedrooms, 2 baths, fin. basement, 1 car det. garage with all materials to finish & much more! Make a pre-auction offer or bid your price in the online auction Ends: Thursday, May 4 at 3:00 pm, unless sold prior. A great starter home or investment opportunity. 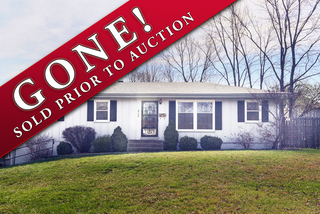 The seller of this property has accepted a pre-auction offer and the property has sold. No minimum bid on this well-maintained 3BR/2.5BA raised ranch home. Spacious family room addition. New roof 2014. Partially finished walk-out basement. 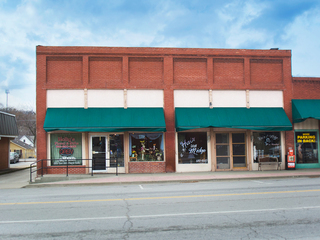 Two central business district retail spaces in Oak Grove, MO, sells to the highest online bidder without reserve. No minimum bid! 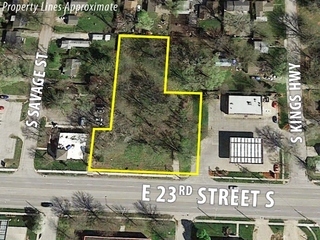 One parcel, two business addresses in downtown Oak Grove, MO. High traffic count & visibility. Corner lot w/ample street & rear parking lot. 4800sf +/- divided into 3 spaces. 2 retail shops and large, rear-entry warehouse. Super clean 3BR/1.5BA ranch home with new roof! Walk-out basement, sun room, custom cabinets. Maint-free brick & steel siding. Private lot backs to park. 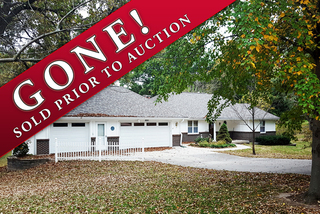 Sells to highest online bidder over seller's reserve of $65,000! Last listed at $130,000. No minimum bid on this well maintained 4BR, 1 BA home on 5 well manicured and heavily treed acres plus six outbuildings. Anderson windows, newer roof and HVAC. Crown molding, 6-in baseboards. Non-conforming 5th BR. Sells without a reserve. 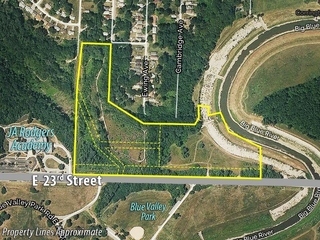 2.17 Acres of I-29 Corridor (KCI) Development Land Sells to the Highest Online Bidder Over Seller's Reserve of $40,000. 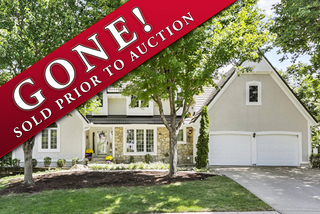 Last List $195,000! 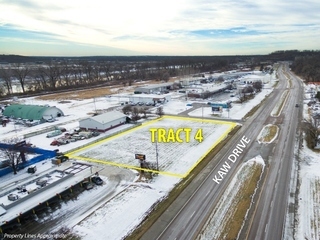 Zoned B3-3, Community Business District, this corner parcel is an appealing location in the I-29 corridor, encircled by prosperous manufacturers and offices. Sells to the highest bidder at Online Auction over $40,000 (last list $195,000)! 7+/- Acres Development Land * High Traffic Location on US-24/Winner Rd. 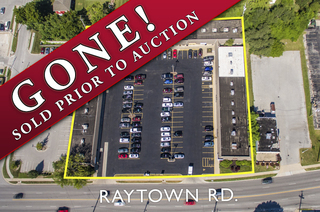 *19,444 Cars Per Day * Road Frontage on 4 Sides * Zoned Commercial & Residential * Utilities Available * For Sale at Online Auction with No Reserve! 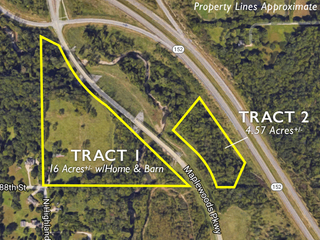 Located on US-24/Winner Rd just east of I-435, this 7 acre +/- tract offers a variety of commercial and residential uses. A great investment or owner/user opportunity. Bidding Open Now! Auction Ends: April 12, 2017 at 12:00 pm. 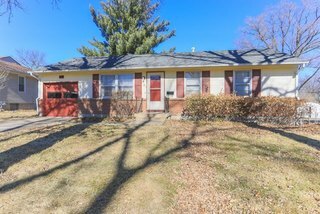 The home has been very well cared for, is in a quiet, established neighborhood in a great location that's close to everything. Don't miss this one! SOLD! 4 Bedroom Ranch, 3.5 Bath, 3 Car Garage, Full Walk-Out Basement, Quiet Cul-de-Sac, Kearney, MO - Needs Rehab! For Sale at Online Auction. This home is in need of rehab. The carpet has been pulled, floors are pet stained & property needs repairs. Great investment opportunity. Bid your price online today! 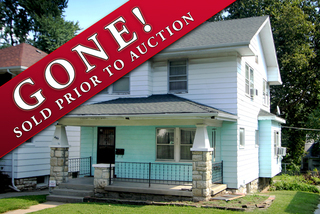 The seller has accepted a pre-auction offer per terms. Open houses are cancelled. For sale at auction! All brick ranch home in quiet neighborhood. True ranch 3BR, 1BA home with newer vinyl windows. Spacious living room with handsome fireplace, dining room, open kitchen, updated bathroom, hardwoods throughout, fenced yard w/mature trees. Partial renovations completed. Bid your price! 2BR/1+BA home expanded for extra living and storage space. New plumbing and new attic insulation. Newer roof & HVAC. Brick front w/steel siding. Huge (and scenic!) second lot on the north side with newer 2-car heated garage. Bid your price! Conveniently located just off I-435 just one exit south of I-70. 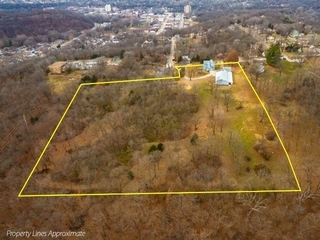 Bid your price on 7.7 acres of development land in KCMO. Road frontage on two sides. 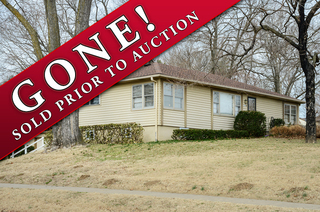 The property is zoned Residential and will sell online, with no minimum bid. GONE! 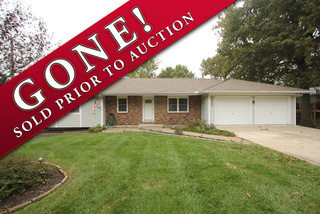 Owner Ordered Auction: Cute 3 Bedroom True Ranch with 1 Car Garage on Treed Lot in Quiet Neighborhood | Kansas City MO. 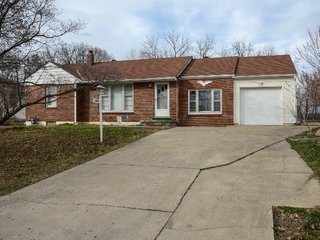 This cute home features 3 bedrooms, full bath, brick trim, hardwood floors, kitchen w/appliances, living room, full basement, 1 car garage, newer roof, Janitrol hvac, nice treed lot and is for sale at online auction. This 3 bedroom true is a solid home, offers one level living and is ready for your updates. A great investment opportunity. Bid your price online today! OPEN HOUSE ATTENDANCE IS RECOMMENDED. 1.5 story, 2BR, 1BA home on large lot. Roomy main level master bedroom, replacement windows on main level. Eat-in kitchen, living/dining room. 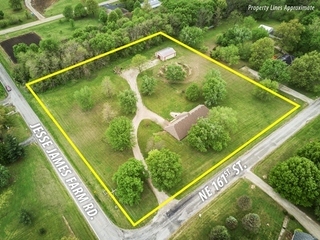 Prime land tracts in Kearney’s high growth area offers I-35 visibility, future I-35/19th St. interchange, sewer, utilities, scenic views, lakes, creeks rock bluffs, etc. 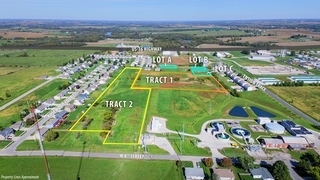 Perfect for development, home sites, hobby farms, investment, etc. 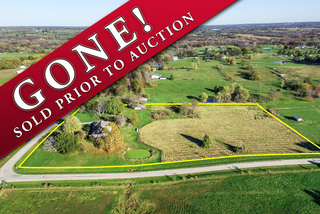 LAST LIST $14,000/ACRE - SELLER'S RESERVE $5,000/ACRE! Don't miss this opportunity to buy one tract, a combination of tracts or all 146 acres m/l for sale at public auction. Come and Bid Your Price! GONE! 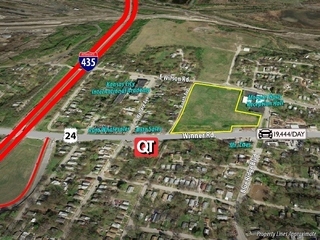 No Reserve Online Auction: Development Land | Kansas City, MO BIDDING ENDS TODAY! 24+/- Acres with Quick Metro Area Access Sells Online with No Reserve! 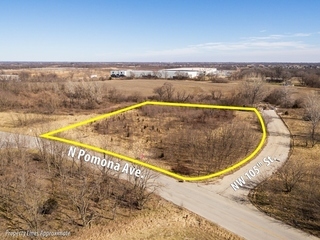 Located on 23rd Street just west of I-435, these six parcels are zoned for commercial, industrial and residential uses, all utilities are available, great frontage. 24 acres sell as one tract without reserve to highest online bidder! GONE! Probate Estate Auction: 4 Bedroom Ranch, 3.5 Bath, 3 Car Garage, Full Walk-Out Basement, Quiet Cul-de-Sac, Kearney, MO - Needs Rehab! For Sale at Online Auction. BIDDING ENDS TODAY! Rehab this 4 bedroom true ranch to move-in, flip or rent! On quiet cul-de-sac in great neighborhood! Home has open great room to kitchen w/dining area, sun room, dining room, full walk-out basement w/kitchen, 3 car gar., etc. This home is in need of rehab. The carpet has been pulled, floors are pet stained and property needs repairs. A great investment opportunity. Bid your price online today! NEW PHOTOS ADDED! Open house attendence is recommended. GONE! 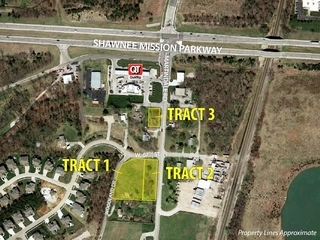 Trustee Ordered, No Reserve Online Land Auctions: Commercial Lots | Shawnee, KS. BIDDING ENDS TODAY! 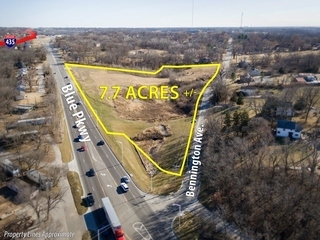 Bid your price on one or more development lots in Shawnee and Bonner Springs, KS. Don't miss this incredible opportunity. The combined appraised value is $300,000, however these lots will sell individually online, with no minimum bid. GONE! 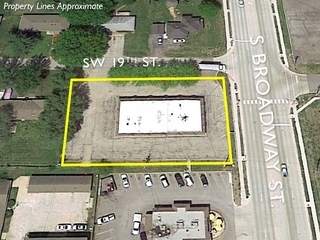 Trustee Ordered, No Reserve Online Land Auction: Commercial Lot | Bonner Springs, KS. BIDDING ENDS TODAY! 4 Bedroom, 1.5 Bath, 2-story home on a beautiful 6.5 acre setting. Steel siding, thermal windows. Appliances stay. Needs updating. No minimum bid. Lovely home w/large rooms, nice woodwork, interesting ceilings, walk-out basement, 2 fireplaces and 4 garages. New roof last year! Apprx. 1 acre partially fenced lot w/newly renovated deck. Built in 1989. 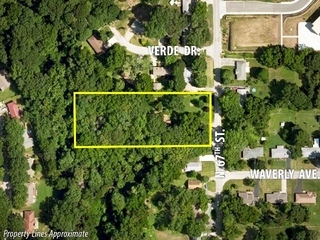 1.25 acres on 23rd Street with high traffic count and 220 feet of frontage. Sells to highest online bidder. 3 curb cuts, adjacent to Casey's convenience store with major intersection only a mile away. New commercial development nearby. Major area retail includes O’Reilly Auto Parts, Starbucks, Hy-Vee, CVS and more. 52 Acres m/l Offered in 4 Tracts. 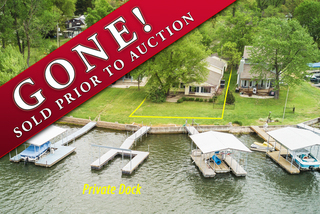 Sells to Highest Bidders, Regardless of Price! 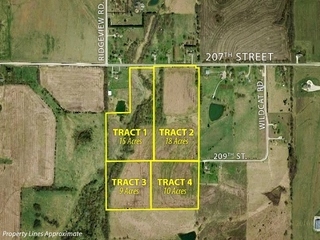 Build your dream home or continue row crop all or part of this Johnson County farm. 52 acres offered in 4 tracts from 9-18 acres, this ground is for sale at multi-parcel auction. Buy a single tract or any combination! Sells to the Highest Online Bidder. Regardless of Price. No Minimum Bid! This 3 BR, 2 BA home has a fabulous treed and fenced backyard. Needs a little work, updating. Perfect for handy buyer or investment opportunity. Full walkout basement, 1 yr home warranty. 4,896sf single-story former physician’s office. Flexible space perfect for medical, office or retail on recently widened/improved major thoroughfare w/good frontage and ample paved parking. Seller's reserve only $50k! Last listed at $229k. Sells to highest bidder! 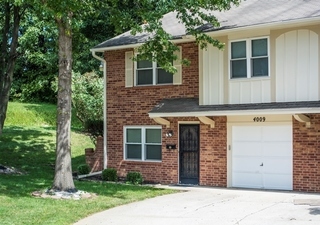 Large brick front, steel sided 1.5 story ranch home, 5 BR, 3.5 BA, 2-car garage, walk-out basement w/separate quarters. 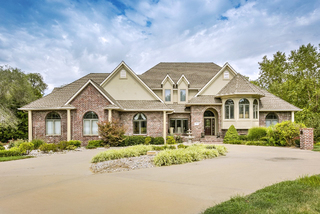 Living, formal dining & family rooms, office, kitchen w/custom cabinetry & appliances. Custom One-Owner Home For Sale at Auction. No Minimum! No Reserve! Sells to the highest bidder! 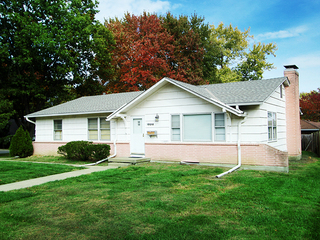 Clean, move-in ready 3 bedroom, 2 bath home with, oversized 2-car garage, and full basement. Quiet corner lot with huge trees, semi-private fenced back yard with patio, newer roof. 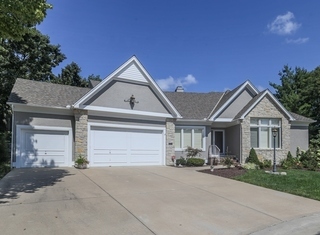 Spacious 3 bedrooms, 2.5 baths townhome, large 2-story living room with floor to ceiling fireplace, kitchen with island, dining room, 2-car detached garage, lake-view from back deck, full basement plus storage area. Online Bidding Only. Gladstone Ranch Only Needs Your Decorative Touches. No Minimum Bid! 3 bedroom 1 bath, 2-car garage, large treed lot, plus all electric shop & car port on separate drive. Living & family rooms feature fireplaces. Large basement. Several major updates completed and much more! Sells regardless of price! 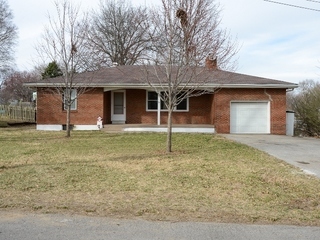 3BR, 1BA raised ranch sells with no minimum bid. All stainless steel appliances stay. Newer windows and carpet. Crown molding, 6 inch baseboards, beautiful 4 season porch. Bonus 20x20 detached garage. Fenced yard. 1 year home warranty. Tract 1: 15 Platted lots for R-3 multifamily dev. Storm sewers have been installed. Tract 2: 23 platted lots zoned for residential, single family or duplexes. Lots A, B & C are buildable (streets, sewer & utilities). Online bidding only. For Sale at Auction with Low Published Reserves! Tract 1: 10 acres + home + barn. 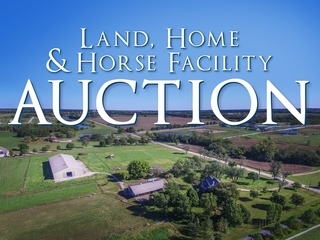 Tract 2: 10 acres + indoor horse arena. Buy one or both! 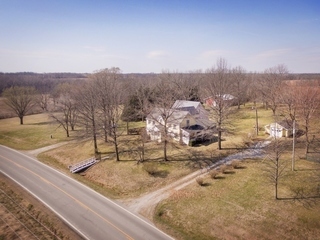 TRACT 1: 10 acres+/- with renovated home & 9-stall horse barn. Seller’s reserve only $290k! (Last listed at $599k). TRACT 2: 10 acres+/- with 70x200 indoor riding arena built in 2010. Seller’s reserve only $125k! (Last listed at $349k). Fixer-Upper For Sale at NO Reserve Auction! Great investment opportunity! This 2-bedroom 2-bath home, features living room, dining room, kitchen with breakfast bar, family room, fenced back yard & 1-car garage. Located in established neighborhood. No Minimum Bid! Huge 6 bedroom, 3 bath home in need of a TLC. This property has great living space and potential. This fixer-upper is an investors dream and will sell online, without reserve to the highest bidder, regardless of price. Don't miss out. GONE! Online Investment Property Auction #1: 3 Bedroom Home with NO Minimum. 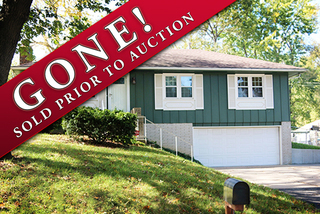 The seller of this property has accepted a pre-auction offer and the property has sold. (See auction terms regarding pre-auction offers.) Thank you for your interest in this property. Two Tracts for Sale at Auction! Tract 1: 16 acres w/house. Tract 2: 4 acres with future commercial possibilities. No reserve! No minimum bid! Build, develop, or just enjoy. Tract 1 was last listed at $500k with a 3BR home and barn. Selling regardless of price! 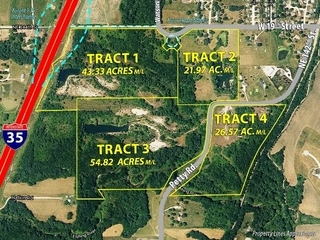 Parcels located at SW corner of 152 HWY and Maple Woods Parkway. Quiet split level townhome on treed lot with deck facing attractive green space, end unit, park-like setting with off-street parking, main level laundry and vaulted ceilings upstairs. Sells to highest online bidder! Great location within walking distance to Blue Valley North & Valley Park schools and close to Town Center Plaza, Sprint Campus, several youth sports complexes, hospitals & more! 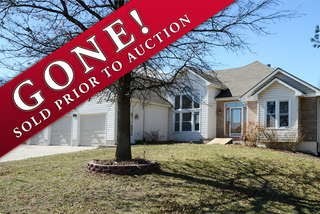 Seller accepted a pre-auction offer! Well Maintained 1.5 Story, 4 BR on Corner in Nottingham Downs w/Main Floor Master & Office, Gerard Lifetime Stone/Steel Roof, Alum Clad Windows, Updated HVAC, Freshly Painted Exterior. Make Offer or Bid in Auction. Iconic building immediately recognizable as the work of renowned architect Harvey Ellis. 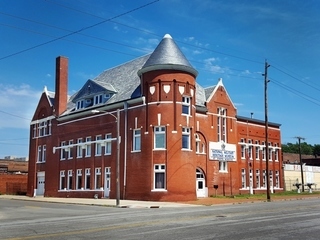 Built in 1890, the 3-story brick structure features limestone detailing, slate roof & signature round tower. Add'l buildings + grounds included. For Sale at Auction w/Seller's Reserve Only $490,000. Compared to appraisal of $900,000. Sells to highest bidder over $490k! 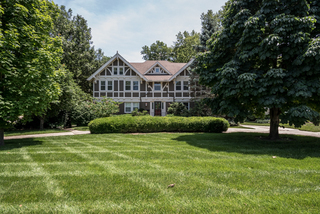 4BR executive home on beautifully wooded 4.5 acre setting. Main level master suite, gourmet kitchen, antique wet bar, home theater, upgrades & custom finishes throughout. Appraised for $900k. GONE! 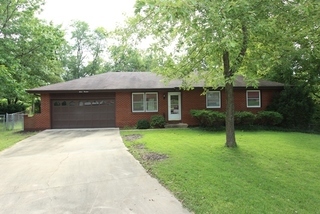 Probate Estate Auction: Solid All Brick 3 Bedroom R-Ranch with 3 Garage Bays, Det. Garage/Workshop | Kansas City, MO For Sale At Online Auction. ENDS TODAY! Features: 3 bedrooms, 2 baths, kitchen w/dining area, family room w/brick fp, hardwoods under carpet, updated c/a-furn., fin. bsmnt, rec room, 1 car. att. gar, 2 car det. garage/workshop, fenced backyard, storage shed & more! Don't miss this opportunity to bid your price on this solid all brick 3 bedroom ranch w/updated c/a-furn., kitchen w/dining, FR, 1 car att. garage and 2 car det. garage/workshop for sale at online auction. Just needs some updating! Features: 3040 sq. ft. finished, 4 bedrooms, 3 baths, 3 car gar., granite hearth kitchen, updated tile & light fixtures, plantation shutters, hardwood floors thru out, Onyx master shower, finished LL w/non-conform BR4 & much more! All the Space & Amenities of a Single Family Home Without the Yard Work! Well Maintained, 4 Bedroom, Reverse 1.5 Story Villa in Coveted Maintenance Provided Nottingham Lake Community. Make an Offer Now or Bid in the Auction. 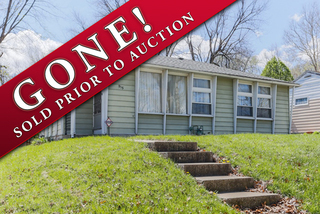 Property has been sold prior to auction! Well Maintained & Attractive, 25,000 Sq. Ft. Multi-Tenant Office/Service Complex Consisting of 3 Buildings on 2 Acres m/l with High Visibility and Immediate Income! For Sale at No Reserve Auction. For Sale at Auction! Great Investment Opportunity. Huge upside potential includes great location, medium sized fenced back yard, garden shed and the church as your neighbor! Perfect for rental, owner-occupied or update and flip. 3 bedroom true ranch boasts a sizable master bedroom with fireplace, eat-in kitchen & dining area plus living room, full basement, hardwood floors, large covered deck & front porch, all only minutes from stadiums, highways & shopping. For Sale at Absolute Auction! No Minimum, No Reserve! No minimum bid! Unique home includes attached oversized 2-car plus separate RV garage, 3-season room, large family, living & dining rooms, office, rock & maintenance-free siding, small barn & garden sheds, fenced backyard & huge trees!